We have just returned from France where we assessed the latest vintages of the world’s most famous wine regions. 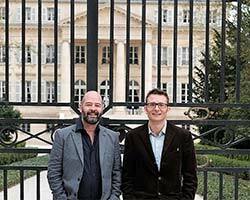 Sceptics will undoubtedly question the hype of yet another ‘best Bordeaux vintage ever’ especially following an excellent 2015. The quality is however undeniable. Dry conditions in 2016 have produced prodigious wines with perfect ripeness, firm acidities and remarkably low alcohols. A classic vintage that will age for many decades. Burgundy is perhaps even more exciting in 2015. 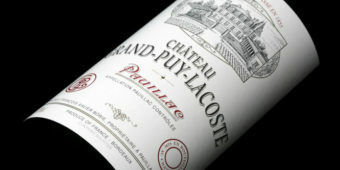 ‘A great vintage, indeed the greatest since the legendary 2005,’ writes Allen Meadows of Burghound.com. Offering unbelievable purity of fruit and a fine balance along with the magical ‘Burgundy X-factor’, I have not tasted such delicious young, red Burgundy. Both regions will allow customers to buy deep and Wine Cellar will be offering everything from excellent value wines through to the cream of the crop. Depending on your long-term view of the Rand, these two special vintages are set to be an excellent investment. Cabernet Sauvignon really shone in what can be considered a drought vintage. In fact, precipitation in July was only a tenth of Bordeaux’s 30-year average! Sunny, but not excessively hot conditions, remarkably cool nights and rain when needed produced near-perfect ripening conditions. This meant that alcohols were in check and tannin levels were off the charts. Pessac-Léognan, Pauillac and St Julien were the stars of the vintage, although frankly, all the top Chateaux produced astonishing wines. 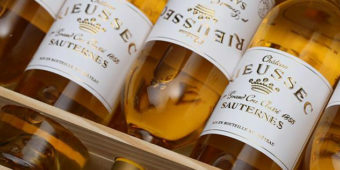 The ‘Petit Chateaux’ are just as exciting and expect to find long-ageing wines for under R200 per bottle. Wine Cellar will receive allocations of almost all the top Chateaux and customers can either respond to our offers or send us a wish list. 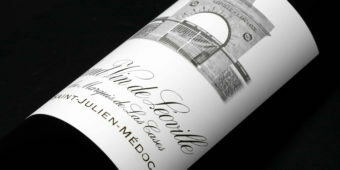 To sign up to the Bordeaux en-primeurs list or for more information, see here. The hot and dry 2015 vintage produced majestically ripe fruit but, unlike 2003 or 2009, the red wines have retained incredible freshness and fine aromatics. The 2015 whites require more careful selection and are likely to be over-shadowed by the chiseled 2014s. Wine Cellar will be offering a fine selection from Joseph Drouhin, Hudelot-Noëllat, Henri Boillot and Bruno Clair with more producers on offer later in the year. We expect demand to exceed supply on these famous domaines so, please subscribe to our allocation list using the link below. Bourgogne Rouge and Blanc are just sensational in 2015 and periodic newsletters will highlight a hoard of terrific wines under R400 per bottle. To be added to the Burgundy allocation list or for more information, reply to this email or see here. International demand for fine wine is at an all-time high and prices will be up on last year. A 15 – 20% increase is expected in Euro terms for both Burgundy 2015 and Bordeaux 2016. The Rand however is 15 – 20% stronger, meaning prices will be similar to those of last year. Other regions in France have also excelled in 2015 and 2016 as climate change seems to be providing drier ripening conditions and more consistent ripeness. Expect wonderful Rhône and Loire offers to follow later in the year.